These awards were created to acknowledge young SANA members and employees under the age of 35 who excel and perform above expectation. These awards celebrate individuals judged on their outstanding work, dependability and flexibility, initiative, interpersonal relations, teamwork and general value to their organisations. Sandiso Xinindlu began studying for his National Diploma in Horticulture at Cape Peninsula University of Technology in 2013. On completing his required theory years of study he spent a year at two separate businesses undertaking ‘work integrated learning’. In Bloemfontein he spent time at the Free Sate National Botanical Gardens and then in East London he trained with Amalinda Nursery. 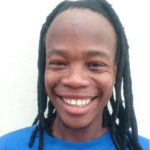 Sandiso obtained his National Diploma in horticulture on graduating in March 2017. 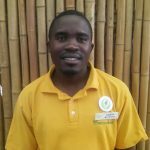 In January 2017, Sandiso became a member of the Elands Nursery team as a Ground Staff Supervisor. Within six months he was promoted to Plant Quality Control Supervisor and still fulfils this role efficiently and effectively. Here he works closely with more than 20 block keepers over our 34 hectare farm ensuring that orders are picked and pulled to the highest possible standard. In addition he monitors and measures run time and loads carried out by four tractor teams who deal with transporting orders from the blocks to the processing and loading bays. Management of quality and time play a vital part in ensuring that orders and the despatch of trucks is executed in the allotted time frame and Sandiso’s consistent commitment to his position ensures that this takes place. Sandiso’s work ethic and attention to detail has carried him far in just over a year at Elands. He shows immense promise and enthusiasm in fulfilling his key performance areas and we are confident in our choice when nominating him for the SANA Young grower of the year 2018 award. Daylin started at Lifestyle Home Garden in October 2013 as a Manager. Within 2yrs he was promoted to General Manager of the company. His greatest attribute is his ability to motivate and improve staff moral whilst empowering the elevation of people to reach their full potential. This has led to him developing our first Human Resources Department that is to the advantage of the staff, management and the company. Daylin manages the purchasing of hardware, décor as well as the implementation of the floor displays, designs and solutions. In addition to the marketing of Lifestyle Home Garden and Mica Lifestyle, he continuously organises campaigns with new marketing strategies and innovative retail floor designs and solutions. He works well with all our staff as he respects their contributions and assists them in growing as individuals and adding value to the business. He manages more than 150 employees with commitment and motivates staff to perform. He delegates to his managers and thus promotes teamwork. He also runs regular meetings with managers and advisors on business etiquette and staff training sessions which continue to add value to the business. Daylin is committed to Lifestyle Home Garden in a multitude of ways. His dedication to the company is seen in upgrading and controlling the stock and pricing systems and he has increased the company’s profitability and positive corporate culture substantially over the last 2 years. He is commended for his work and dedication to his position as General Manager and leader at Lifestyle. Freddie started at Andy Titterton Nursery in 2014 as a truck loading assistant, going on deliveries and assisting with picking of stock. His potential was noticed quickly, and was promoted to a driver within a year. He went out of his way to learn the ins and outs of his department, and was again promoted to a logistics assistant. His outgoing nature and ease of communicating with, was quickly noticed by the marketing and sales department, and was again promoted to a sales rep. He is well liked by customers and colleagues alike, and is always making suggestions to improve sales and customer relations. He is very dependable and takes initiative to solve problems and deal with queries. When asked to go the extra mile, he does with a smile and is of great value to the company. So much so, that he has recently been promoted to sales and marketing supervisor, and we are excited to see where his skills will help to improve the organisation, young SANA, and the industry as a whole. At the backbone of SANA are the Growers, without them we would not have green product to sell.As the next generation takes over the baton we are fortunate to have passionate individuals like our 2017 Young Grower of the Year.Born with flowers in her veins, she worked for pocket money with her brothers filling plant bags. While studying Landscape Technology & Horticulture at the Tshwane University of Technology she joined the family business part time in 2007.In 2010 she joined the company full time as Head of the Cutting Division where she made huge improvements through the skills and experience gained while doing her practical in-service training in the Netherlands.She is actively involved in the improving of plant standards, production and general management and her passion for growing is visible in the end results.She was promoted to Assistant General Manager and works closely with her brother, Jimie to make this, one of SA’s largest production nurseries even more successful.Our 2017 Young Grower of the Year has shown that our industry in good hands. In June 2014 a young man came to our branch looking for work. He had done a short Horticultural course and had worked as a Gardener and with a landscape company for a short period. He had no retail experience but impressed the Manager with his passion and enthusiasm.He was hired as an assistant, our most junior position and tasked to look after our animals in the play park area as that was the only position available. Even though he was completely out of his comfort zone and not in his desired nursery department, he promised his Manager that he will prove himself and not let her down.The next thing the management team heard was that one of our goats had given birth over the weekend but young Joseph refused to leave the goats side and stayed overnight to ensure that mother and baby were ok.This was certainly not expected nor requested, this was Joseph’s inherently good heart and work ethic coming out.A few months later he got his chance in the Nursery Department where he progressed from an assistant, to a sales consultant and ultimately to a Supervisor all within a 2 year period. In this time he put himself forward for all training opportunities, volunteered to lead staff training in our morning meetings and when public transport became a huge problem for him to get to work on time, the next thing we knew he got his motorcycle licence and bought himself a motorcycle to ensure that he would always be able to get to work when he needed to.Through his actions he has demonstrated commitment, loyalty, initiative and the drive to be the best version of himself he can be! He leads his team by example, expecting the same high standards from them as he does of himself. This young man is going from strength to strength and we are proud to be part of his journey. A second generation SANA Member she is not only enthusiastic about selling her product she is a very enthusiastic supporter of SANA especially when it comes to building and manning their stand at the Knoppieslaagte Trade Fairs. A passionate ambassador for the company, she is redefining the image of the family business. She has dramatically increased service levels as well as the customer base since joining the business. 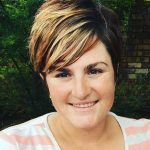 Still studying she has brought that passion for marketing into her day to day role and has introduced social media marketing especially on Pinterest and Facebook to promote not just their brand but water feature gardening in general. Nonkumbuzo (Lucy) Baba is currently a Nursery Specialist of our biggest category within our Nursery Department. She had been working for us in our Indoor department for 7 years where she had shown us her consistent high standards and quality of work, along with a fantastic attitude of constantly willing to improve and try new things even in the face of adversity. Managers came and went in that department yet Lucy remained and kept up the team spirit in her department. A promotional opportunity came along within the Nursery department and true to form Lucy put herself forward. Even though it was in an area of knowledge where she was unfamiliar and now in her first Supervisor role, she diligently read up on plants in her free time on her own initiative to further her knowledge and to better herself, as well as working closely with Senior Managers to learn Supervisory skills from them. This resulted in improved sales and customer relations and less than 6 months after moving to the Nursery Department she was promoted once again to the largest category (in sales and profit contribution) where she currently works. Lucy has shown everyone that true hard work, determination and a positive attitude can lead to endless possibilities. We are incredibly proud of her and cannot imagine Stodels without her! Hennie is more than just a third generation Grower in the Toxopeus Family – he is also a passionate hard working young man and a huge asset to Avedore Nursery. Hennie is Director of Operations at Avedore Nurseries and since his arrival the business has gone from strength to strength. Hennie is an exceptional entrepreneur. He quickly realized water is a scarce commodity and implemented water efficient irrigation systems. Under Hennie’s guidance, Avedore is being transformed to specialise in the propagation of a wide variety of exceptional quality Standards of different lengths. He is constantly testing new shrub varieties that can be trained into Standards. All Standards are machine cut and uniform. He rightly says “We need to propagate the most uniform product on the market at a reasonable price”. Definitely not just a sample truck driver or an order taker. His friendly and positive approach to clients makes him and through that, the company he works for stand out from the crowd. He knows his product well and not only shows buyers the availability from the truck he sells it. He follows through to his managers with anything he can’t answer. This Award recognizes his dedication and commitment to making sure his employers company is seen as one of the best. A third generation SANA Member from a family well known for producing excellent products he is described as a very enthusiastic, hard-working and dedicated young man. He is always trying to find ways of improving and expanding the business as cost effective and productive as possible. His quality of work is excellent, proof of which is shown in the product leaving the nursery. His use of biologic control instead of harmful pesticides is also a sign of his commitment to enhance the environment. He is an outstanding, dependable and very encouraging team leader. He works hand in hand with his people and is always available to help where he possibly can. As the new generation has started to play a bigger role in the business it has been exciting to see the new found enthusiasm for the company brand. Growing plants to a high standard continues under his watch and we have seen introductions of new lines and new varieties to the range. He also encourages others to find new ways of developing the industry. His sunny disposition is a huge asset to not just the company but also to SANA. As a student he worked part time in the garden centre and soon found a passion and natural flair for gardening and landscaping. After his studies he joined the garden centre full time and soon became an indispensable member of the team. Today his responsibilities include many of the buying decisions and day to day duties in the running of the store. His displays and merchandising are of a high standard and contribute to the good results achieved in the GCA competition. He is well liked and respected by the staff and is a role model for diligence and good work ethic. A familiar face in the green industry he not only reps on the road, his presence at trade shows helps to build the business and he is seen by many as a brand ambassador. He has a natural flair for gardening and all things related to gardening. These qualities as well as his delightful, charming demeanour make him an absolute asset to the business. 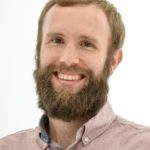 He has built strong, trusting relationships with all his customers, and his presence and input at talks is always welcome. Not only in terms of sales. His creative abilities, knowledge and experience have helped to not only build the Starke Ayres business, but the business of all the garden centres that he services. These two awards were created to acknowledge young SANA members and employees under the age of 35 who excel and perform above expectation. These awards celebrate individuals judged ont hgeir outstanding work, dependability and flexibility, initiative, interpersonal relations, teamwork and general value to their organisations. Her positive attitude, willingness to learn and energy have helped revitalise the production area where she has overall responsibility for all the plant growing in the young plant division of Ball Straathofs. She has a direct impact on the quality for millions of plants grown from seed and cuttings each year and has improved the company’s ability to produce difficult but popular crops. The improved quality has a direct influence on their customer’s product in their nursery and at retail. Her plants are ultimately sold right across the country so they have a big impact on the industry. A second generation SANA Member our recipient joined the family business in 2003. Having an interest in graphic design and décor she quickly found a niche in the business in the home décor side as well as in the marketing. Today all the indoor buying and giftware are her main day to day responsibilities along with coordinating all the promotional activity. She joined the Garden Pavilion Marketing Committee and continued to grow her portfolio of marketing experience. Working with a national marketing campaign her enthusiasm and creative energy soon had her playing a more and more pivotal role in the group. She increased the Christmas décor sales to grow the department in the family retail. After a few short years this department which is hers to run has become an integral part of the business. Dewald Scholtz is 27 years’ of age and responsible for growing and producing indigenous trees, form plants and summer colour at Bristle Cone Nursery. 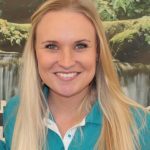 Dewald trained and worked at the Hilliers Nursery Group in England for two years in 2004 and 2005. Aside from being responsible for the quality control of the product, he is also responsible for producing and growing the product. He manages the Bosfontein Growers Area of the Bristle Cone Nursery in Brits and is solely responsible for the production and management of the farm, as well as the staff of the farm. He is also a member of the IPPS and is especially interested in the growth, production and quality control of his product. He has an outstanding rapport with his staff and is a very trustworthy person. He is truly an asset to our trade. Willy joined Builders Express 5 years ago. His store received a Bronze award in the Garden Centre Competition in 2010 and he immediately took up the challenge. He has an amazing work ethic and takes criticism as a challenge. Even through 3 store manager changes he managed to inspire his team and convince managers of the importance of the garden section. Working all the time to improve the service and product quality he and his team offers their customers.Under his supervision Builders Express Robindale received a Gold in the 2011Garden Centre Competition and in 2012 they where best Home store in Gauteng. He keeps on working hard to find ways to implement standards set in the Garden Centre competition in the Mass mart corporate environment. He adds value to the group as a whole by sharing information and ideas with other branches.His soft spoken humble way makes him a favourite with customers. It is widely known that the products of LVG Plants (Van Geest family – production facility for Plantimex) is of high quality. A big part of the success can be attributed to the dedication of Bart van Geest, that together with his brother Geert, is continuing the legacy of their father Lous van Geest who has retired. Bart is quality driven, committed, shows initiative and determination. He is proud of his work, neat & punctual and strives for perfection. He is a deserving recipient of this award. A very hands-on approach and passion for retailing together with extensive plant knowledge makes this candidate worthy of being the Young Retailer of the year. As his involvement in the garden centre increased he was instrumental in identifying the needs of the business to diversify to attract a new generation of customers as well as improving the offering to existing clients. Animals is his other passion and though developing a large pet department he has dynamically changed the way the garden centre is managed. In the garden centre he plays an important role in the day to day running of the garden centre and is a role model to his staff through is commitment and work ethic. He not only holds training sessions and numerous talks in his garden centre he also finds time to give back to the community through vegetable gardens implemented in rural schools. As a young grower Peter van Rooyen already shows plenty of initiative and determination. His commitment to growing a quality product has seen Planthaven being one of the producers of the Proven Winners range as well as an expanded range of perennials and shrubs. He has been instrumental in exposing Planthaven to new markets and has made a positive contribution in expanding the business footprint. Peter is already and active member of SANA particularly in KZN. He is also a supporter of Trade Fairs & Convention. We belive Peter with go from strength to strength in his business and is an asset to our industry. 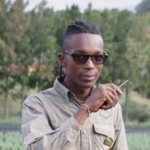 At 25 years of age, Tumelo Motshwane is an invaluable team member in the Skukuza Indigenous Nursery. Tumelo is the office assistant and has the remarkable ability to interact with customers, providing information about our indigenous plants while also ensuring that admin and financial issues are impeccably managed and all SANParks policies and procedures are adhered too. Tumelo is a friendly, reliable, dependable and leads the nursery staff with the example of neat appearance, consistently working at a high standard while also always being willing to learn more about our wonderful SA flora from other SANParks staff and visitors alike. Congratulations to Ilse van Wyk of Stodels Nurseries Bellville on receiving the Young Retailer Award. Congratulation to Dr Luise Ehrich of New Plant Nursery, recipient of the Young Growers Award.